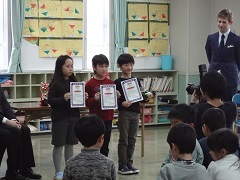 The 15th English Speaking Contest was held today and the English abilities of the children was fantastic! Everyone did such a fantastic job speaking with each overseas teacher for 2 minutes (Kindergarten level) and 3 minutes (for Elementary School level) and it was lots and lots of fun for the teachers to get to know more about each child. We are all very proud and I was very impressed with everyone, fantastic job! Today’s English Speaking Contest was a lot of fun. All of the children impressed us with their English speaking abilities. They could tell the teachers not only about what they brought, but also a range of other topics. Everyone did a fantastic job, and I thoroughly enjoyed talking with each and every child. Great job! We were all so impressed by all of the children’s ability to speak and communicate in English. It was so fun talking about the objects that everyone brought! We teachers could all learn so much! Everyone did so well and today was such a fun event. We look forward to talking with everyone more in the kindergarten and at ESC. Great job, everyone! 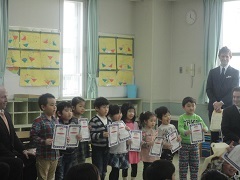 Today’s contest showcased a lot of kindergarten friends both past and present doing a wonderful job speaking in English. 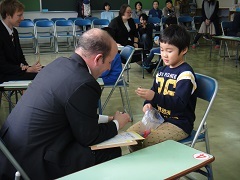 They were all able to do a splendid job speaking with overseas teachers for anywhere from 15 to 20 minutes overall. I was so pleased with everyone’s performance and can’t wait to see how everyone improves next year. It was so much fun to talk in English to all of the children who participated today. It was a great opportunity to learn about the children themselves and what interests them in English. 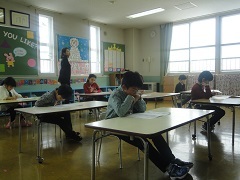 I hope that all the children who participated today will continue to use English in the future. Once again well done to all the children who came and spoke English today. The speaking contest was so fun and so challenging for all the Kindergarten and ESC kids. They did a fantastic job speaking and listening. We were all impressed by how much they have improved during the year. Their willingness to speak English is so wonderful to see. I know they will continue to do a great job in the future. Today was great fun and it was fantastic to listen to Sapporo children speaking such fantastic English with confidence and passion. I was surprised at how natural the children spoke. I know they will continue to improve their English skill and have bright international opportunities in the future.